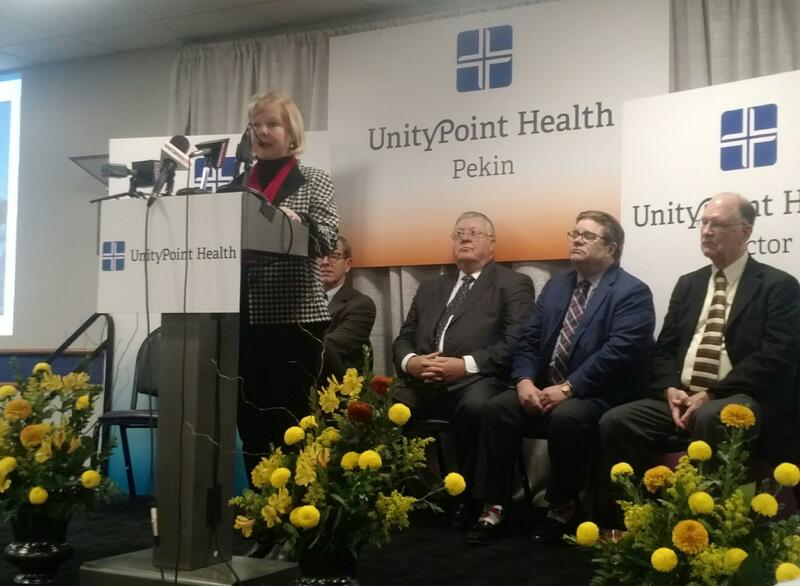 UnityPoint - Peoria CEO Debbie Simon speaking at the press conference on UnityPoint - Pekin affiliation Tuesday, January 10, 2017. 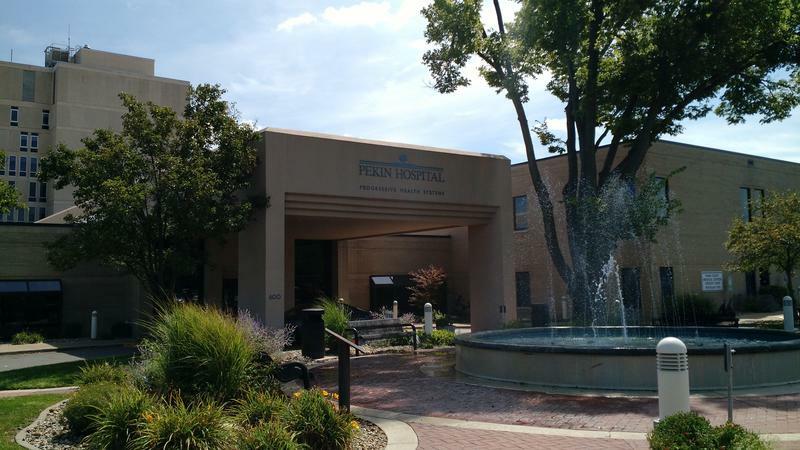 UnityPoint Health - Peoria now includes Pekin Hospital. The affiliation was official January 1. Leaders with UnityPoint Health and Pekin’s Progressive Health Systems made the public announcement Tuesday. UnityPoint Health - Peoria President Debbie Simon is also the chief executive over the entire organization that includes Methodist, Proctor and Pekin. She says they look forward to being able to plan together and move the affiliation forward. “So we will make a significant investment in this community. We’re committed to that. And we will work with everyone in this community to build health care and to learn what will build community health.” The affiliation is official, but Simon says it will take a year to 18 months to fully achieve the merger of the medical records systems. 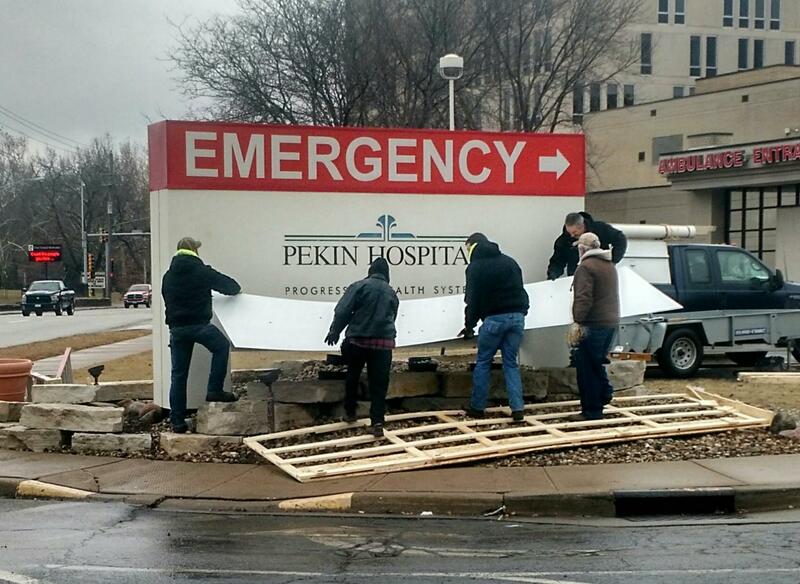 A work crew changes out the sing at Pekin Hospital Tuesday, January 10, 2017. 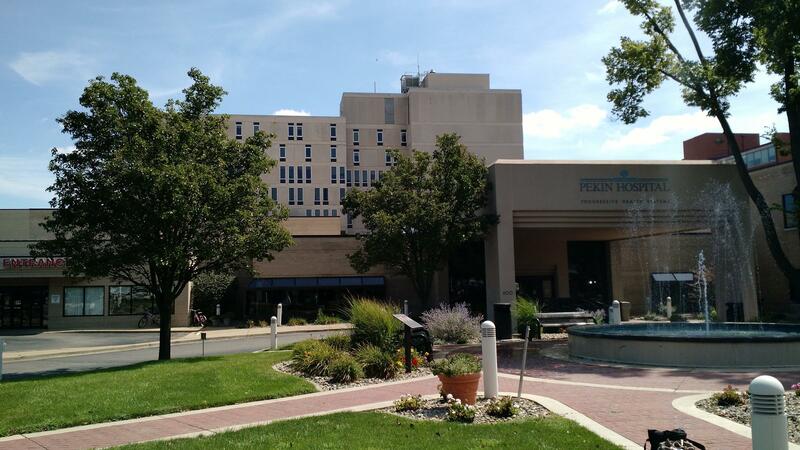 The Pekin affiliation with UnityPoint, grows the region closer to having two major healthcare systems. OSF Healthcare includes hospitals in 11 communities. The UnityPoint system now includes five hospitals in four West Central Illinois cities. But it’s also part of a larger system that includes closer to 16 hospitals in Iowa, Illinois, and Wisconsin. Pekin Hospital on the sunny day, August 23, 2016 when the intent to affiliate with UnityPoint was announced. Bob Haley will remain the President of UnityPoint Health - Pekin. He says the hospital is still the institution its patients know and love, but now they are also part of a bigger family of care. UnityPoint Health Peoria and Pekin’s Progressive Health Systems are negotiating terms of an affiliation. The two organizations have a letter intent that means the parties have entered exclusive negotiations to finalize an affiliation agreement by year’s end.